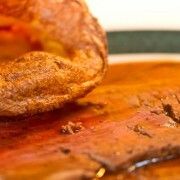 We are often very busy on a Sunday and that is because we serve an excellent Sunday lunch. There is a choice of four roasts, fresh veg, the best Yorkshire puddings, homemade stuffing, gravy and yummy sweets, all without the washing up! Whilst we will always try to find you a table, pre-booking is recommended. The kitchen is open until 4pm, so why not work up a hearty appetite and visit us a bit later if you prefer to miss the crowds! We stay open through to Sunday evenings and if you are really lucky you may find some tasty treats on the bar. It’s not a school night! So start the evening off with a traditional happy hour. Pints, wines and spirits at a price to make you smile! Make it a great night out and stay for a delicious meal too. We serve delicious steaks every weekday and Saturdays, at lunch and on our evening menu, but on Wednesday evenings you can have two 8oz sirloins or rumps steaks for £17.95, served to your personal preference, plain or with your choice of homemade sauces. We also serve wonderful fillet steaks and all the beef is from our local butcher, renowned for his excellent meat. Creative Sessions from 7pm – 9pm, including Print Making, Decorative Paper Making, Painting, Drawing & more … £6 per session and no long term commitment required. Complete beginners, and artists are encouraged to join together in an environment where beginners will not feel intimidated and those with some skills will share their knowledge. Tea and coffee are served or enjoy a tipple from the bar. Call Fran on 01730 263584 for an up to date program or to reserve your place. 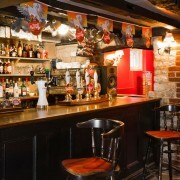 Your local country pub is open all day every day from 11am, so if you are out and about you can call in at any time and be sure of a warm welcome. 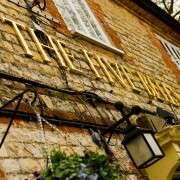 We serve fine ales, a great selection of wines and cold beverages, specialty coffees and hot drinks. Food is served every week day and Saturdays for lunch at 12pm – 2pm, and 7pm – 9pm for dinner. Traditional Sunday lunch is served from 12pm – 4pm. 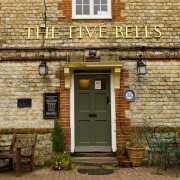 We usually have a range of activities and events which are advertised in the pub and our Parish Magazine.